William Hill Ask You If Jeremy Corbyn Can Survive This Year as The Labour Party Leader? 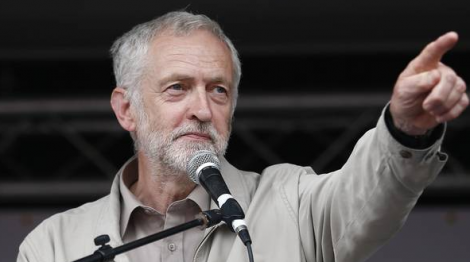 The Labour Party is maintaining its heartland seat which may have seen Jeremy Corbyn avoid a complete disaster during last week’s political event. However, the party’s current leader still has an alarming task ahead of him if he wants to be the official Party representative for the following General Election. Regarding leadership in Camp Labour, things are growing unrest, as senior party members deny numerous in-house leaks of a mutiny in the party which seeks of to replace Corbyn. William Hill politics updated its Labour related betting markets. Moreover, the betting company priced at Corbyn not seeing the end of the year at 4/5. Moreover, the operator has rated Clive Lewis (who is the MP for Norwich South and was also a former Shadow Business Minister) as well as Keir Starmer at 5/1 (who is the current MP for Holborn). The politics spokesman for William Hill, Graham Sharpe stated that Mr Corbyn may think that this race does not have a starting date yet. However, there are plenty of competitors that are clearly in training and are only waiting for the runners to come under orders.